TV Geek Army and Shout Factory have teamed up to bring one lucky reader a chance to win Transformers: Beast Wars The Complete Series on DVD. For those unfamilar, Transformers: Beast Wars started as a Hasbro toyline in 1995 and then became an Emmy Award-winning, CGI-animated television series the following year. It first aired in syndication on September 16, 1996 and ran for three seasons until March 7, 1999. Beast Wars tells the story of Optimus Primal and the Maximals battling Megraton and the Predacons on a mysterious planet. The eight-disc set contains all 52 episodes, which originally aired from . Also included are DVD bonus features including retrospective featurettes containing brand-new interviews, a 12-page book, art galleries, and a 24-page comic book entitled TRANSFORMERS Timelines "Dawn of the Future's Past". The set will be available on June 7, 2011 wherever DVDs are sold at a suggested list price of $49.99. Also available will the Season One four-disc set featuring 26 episodes plus bonus features for $29.93 SRP. 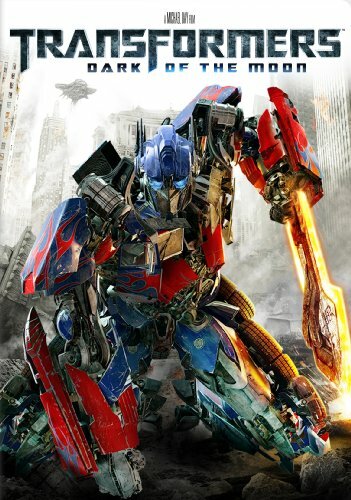 To enter for a chance to win the prize, send an e-mail to cinemasentries @ gmail .com (no spaces) with your name and the name of your favorite Transformer from any series and why. For a second chance, leave a comment below. The winner will be picked at random from the entries and is restricted to a resident of the United States or Canada. This looks hot, thanks El B ! The contest is now closed. Congrats to Matt W.